So there we have it – a whole series of the stunning colours of the skies over Skye from each day of last month and the beginning of this one. And what a thirty days it was! 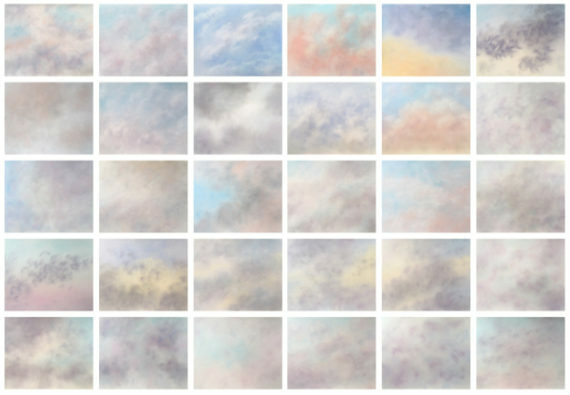 As always, I’m delighted to have completed the paintings and even though I’ve been painting clouds for a few years now, I feel I’ve learned so much in the last month. 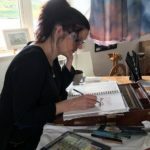 Thank you for sharing the experience with me – I’m off to busily frame paintings of a whole other genre (life drawings and abstracts) for my next exhibition (see my exhibitions page on my website for details). 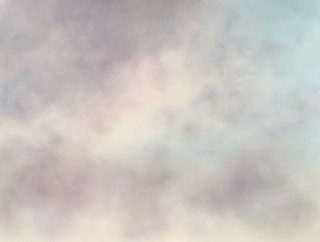 Then I’ll delightedly pick up the paintbrushes and/or pastels again with glee. 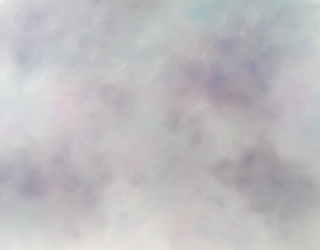 Deep purply-indigo flecked clouds creep across the horizon. Not just your average stormy grey but these mean business, a proper temper tantrum of toddler proportions – all toys out of the proverbial pram! Dramatic though it is, there’s something raw and pure about the intent, like a detox of the skies. 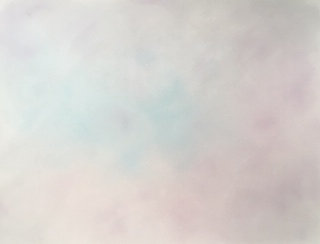 Faint pinks are amid the clouds in the mid morning haze – is it a long sunrise or an extremely early sunset? Maybe the fairies have their washing out! 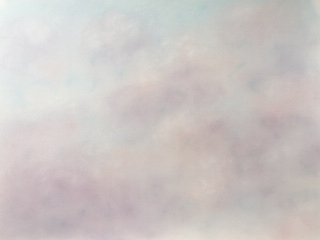 ‘Mid-morning Haze’ (Cloudscape painting in soft pastels, 40x30cm). 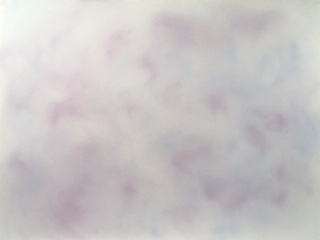 Deep purple swirls and puffs whisk around the skies like expressions of travelling ghosts. Are they reminders that we could ponder on our inner wishes and intentions this weekend?